Here’s something many never thought they’d see again on that day in June 2009 in which it was revealed that the King of Pop had, owing to an unintentional overdose of prescription medication, been sadly robbed of his life. However, it seems that the songs MJ had been recording before his untimely death prevented any hope of a comeback (be it successful or shambolic,) are on their way out into the public consciousness and he could continue to flaunt his royal status from beyond the grave. Without trying to spoil it for legions of drooling MJ fans out there (who will undoubtedly click on the above link, watching the words below fade into insignificance,) it doesn’t sound much like Jackson’s previous works. It has the definite 80s feel, with the electronic hand claps and trademark screeches and nonsensical exhalations that gave much of his back catalogue it’s unique stamp, however, in my humble eyes, it has a little something missing. It sounds like it’s trying to be something it isn’t. There is no doubt that it’s him, there is no doubt he had a great deal of input, but it just feels a bit empty. I’m sure the more die-hard MJ fans will make up their own minds. The more cynical may recognize some slight similarities with this song and the Bobby Brown/Britney Spears hit, “My Prerogative,” particularly with the lines, “everybody wants a piece of Michael Jackson.” But lets be honest, he’s not wrong. People still clearly want Michael Jackson, and it seems his death has done nothing to halt the fervor with which fans search for new material. 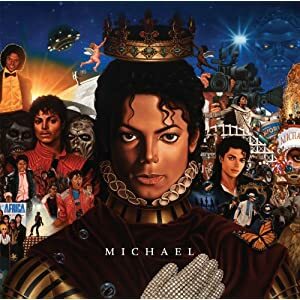 The new album “Michael” is alleged to be released on December 14 2010, thus answering the age-old question of who will hold the UK#1 spot on Christmas. Sorry Simon Cowell! The one question that plagues my mind, is would these songs have been received as positively if he was still alive? Remember the excitement that built up around Invincible? His widely panned (though purists would say massively underestimated) final album? Would this album, and the huge, unprecedented, residency at the O2 arena in London, been the glittering crown in an already undeniably gilded career? Or would they have been released and faded out of living memory, sending him spiraling into even more debt and weigh him ever more under the pressure to again produce the music that made him the icon he was? This is the inevitable question, but should we just stop analyzing it and enjoy one last taste of the king of pop? Whatever your opinion of the late, great Michael Jackson, there is no doubt that a comeback of epic proportions was on the cards before his passing. It is sad that owing to his premature death it will materialize in nothing more than CD and DVD sales. Having said that, go out, buy, download, do whatever it is you do to legally acquire the songs on “Michael”. It is preferable to letting the last words of one of the worlds most prolific and magnificent go undiscovered and unheard. It is also preferable to the continual onslaught of manufactured, formatted and thoroughly uninteresting pop music that is flooding the modern charts. “Hold My Hand” is currently getting 4-5 plays a day on Radio Creme Brulee. Click HERE to start listening to the station’s 24/7 broadcast. The single is also available for purchase on iTunes.